← First Time Homebuyer Credit RECALL!! 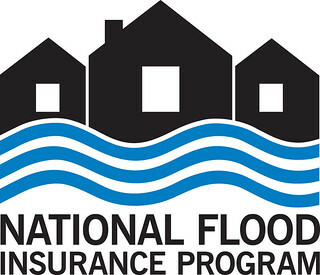 Title Junction wants to keep the community aware of any new or updated laws that Congress passes and as of June 29, 2012, they extended the National Flood Insurance Program. Congress passed H.R. 4348, the Surface Transportation Extension Act of 2012, which included an extension of the National Flood Insurance Program (NFIP) for five years until September 30, 2017. This provides the long term certainty that the program – and the continued recovery of Florida’s real estate economy will require. Many of you will recall that the NFIP has been operating under a series of temporary extensions since Sept. 30, 2008 with occasional “sale killing” gaps. The House voted just before 2 p.m. on June 29, 2012, 373-52, to pass the legislation, and the Senate voted a few minutes later, 74-19. The legislation has been sent to President Obama, who is expected to sign it. · The Federal Emergency Management Agency will to continue its ongoing analysis of how risk areas behind levees should be treated under the NFIP. · FEMA may raise rates a maximum of 20 percent annually, as compared to 10 percent annually under the current program. Rates for second homes, properties with repetitive flood claims and commercial properties will go up 20 percent over the next five years. · The bill reiterates FEMA’s authority to buy private reinsurance to back the program, which is aimed at reducing FEMA’s reliance on Treasury loans to fund the program. It also requires investigation into various options and methods for privatizing the NFIP. · Lenders will be required to accept non-NFIP backed flood-insurance coverage provided by a private entity if that coverage meets all the same requirements as NFIP-backed flood insurance. Posted on July 20, 2012, in Title and tagged 373-52, 74-19, FEMA, Fort Myers, H.R. 4348, Jennifer Ferri, Legislation, Lender, National Flood Insurance Program, NFIP, President Obama, Property Guiding, Senate, Surface Transportation Extension Act of 2012, The Federal Emergency Management Agency, Title Junction, Title Work. Bookmark the permalink. Leave a comment.